In the second of a two-part series on managing finances, Lynne Pearce highlights the support available to nursing students with seemingly unmanageable debt. Debt solutions are wide and variable, ranging from cutting interest costs and budgeting to obtaining free, independent and expert help. The Money Advice Service (MAS) suggests dividing any debts into priority and non-priority and earmarking funds to pay the former first. Priority debts are those that carry the most serious consequences if they remain unpaid, such as losing your home or being made bankrupt. These could be debts related to a mortgage or rent, income tax, national insurance, council tax, gas and electricity bills, child maintenance or court fines. Although non-priority debts may lead to a creditor eventually taking you to court or instructing bailiffs, the consequences are less serious. These include credit or store card debts, payday loans, overdrafts, bank or building society loans not secured on property, and personal loans. MAS also advises not struggling alone with debt worries, but seeking free, expert help to make the right decisions for your circumstances. According to MAS, nearly half of those in debt have said they weren’t sure about the best way to pay off what they owed, while more than four out of five who received debt advice said they felt less stressed and more in control of their lives again. For RCN members, the welfare rights and guidance service provides advice on debt, benefits, housing problems and other issues. For example, you can check you’re receiving all the benefits and tax credits available to you, identify ways of increasing your income and reducing your expenditure, and help you negotiate with your creditors. For those in hardship, the RCN Foundation’s Lamplight Support Service may be able to provide financial grants and support. Ways the service can help include providing a rental payment where there is a shortfall in housing benefit entitlement, a respite break after a period of illness or caring for a relative, payment of a utility bill during a period of reduced income, and short-term funding of childcare costs to help you remain in work if a relationship breaks down. Organisations that offer free, expert help to manage your debts include StepChange Debt Charity. This operates across the UK and provides extra support for vulnerable people, including those affected by mental health problems. 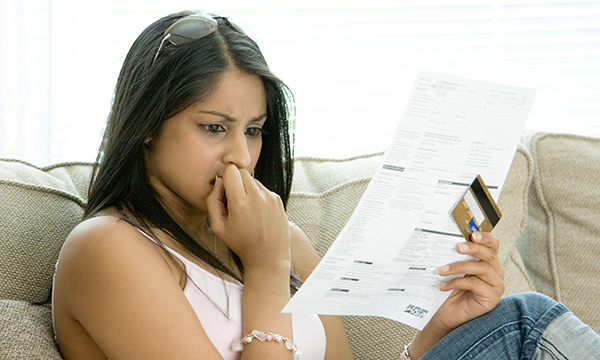 Others include the Debt Advice Foundation, the Debt Support Trust, National Debtline and the Debt Counsellors. There may also be a local debt help agency in your area, but check it is not for profit or a charity, or they may charge.